Welcome to the board game gallery. For more amazing photos of your favourite tabletop games make sure you stay up to date with our blog posts and follow us on Instagram @maritimemeeple. Seasons is a complex card drafting game with victory points for 2-4 players. Players roll dice to collect resources, increase their magic gauge and collect elements in order to summon the cards in their hand. Cards played give players special abilities that affect gameplay. Published by Libellud/Asmodee/Asterion Press. In this 2-6 player game, explorers are aboard an aircraft traveling through the many cities of Celestia trying to collect treasures. Each turn players choose to remain on the ship in hopes the captain can face the challenges or debark, collecting the treasures of the current city. The game ends when a player collects a specified amount of victory points worth of treasures. Published by BLAM!. A 2 player spin-off of the classic game of 7 Wonders. Players draft from a display of face up and face down cards in order to further one of three agendas: Military, Science or Victory Points. Published by Repos Production. Dominos with a kingdom building twist. 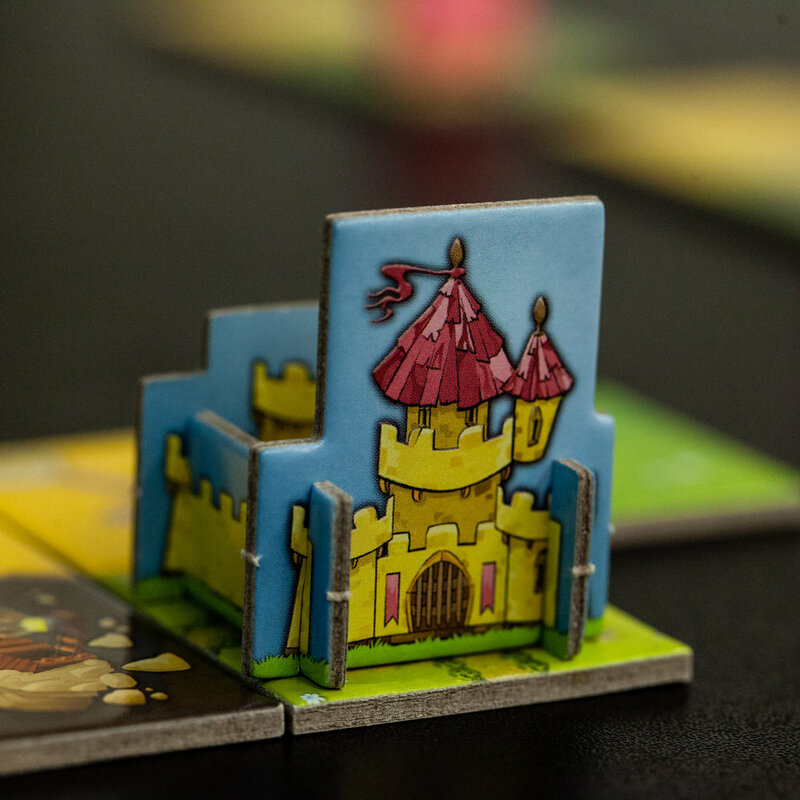 Kingdomino combines tile drafting, area control and victory points in a delightfully simple yet elegant game for 2-4 players. Published by Blue Orange Games this is one you'll definitely want to add to your collection. Mint works is a pocket-sized game for 1-4 players. In the game, players use mint tokens to perform actions and build plans for victory points. This quick and simple game ends when a player is first to reach 7 points. Published by five24 labs. In Lotus 2-4 players take turns playing cards to complete a flower. Points are awarded for completing a flower or for having the most control over a flower. Completing a flower also allows you to gain a special power to help further your abilities in the game. Published by Renegade Studios. Onitama is a 2 player game with similarities to chess. Cards are randomized and five moves are dealt to begin the game; 2 for each player and one extra. When a player uses one of their movement cards they swap with the remaining card. The game ends when a player's main pawn is captured or when a player's main pawn is moved into their opponents main pawn's starting space. Published by Conception/Arcane Wonders. 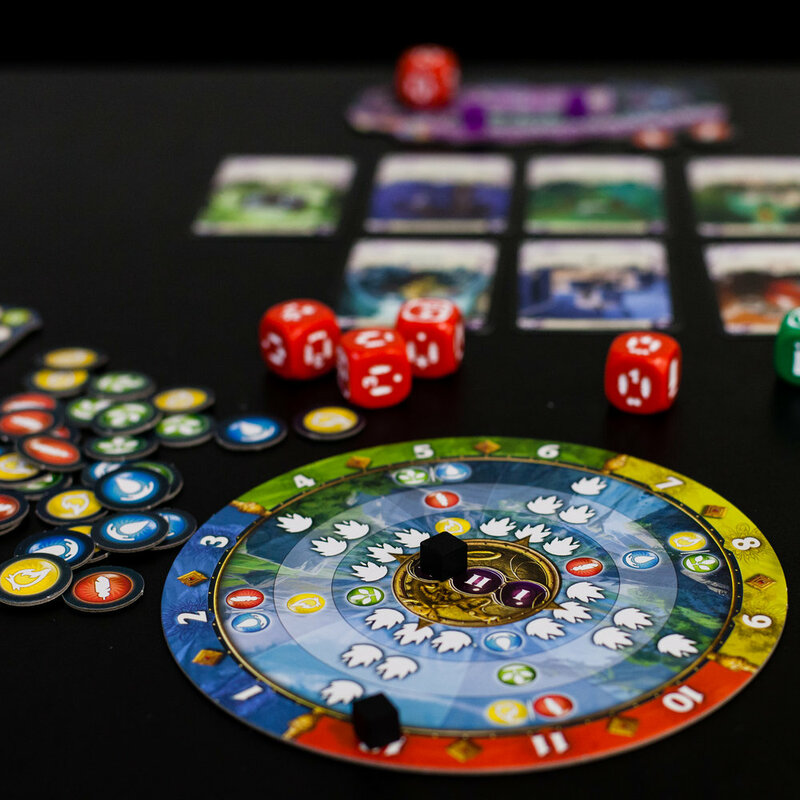 In Quarriors 2-4 players draft a dice pool and battle their opponents. Players roll dice to cast creatures, summon spells and create currency to buy more dice. Victory points are earned when your creatures survive a whole round. Various expansions make this game entirely replayable. Published by Wizkids.